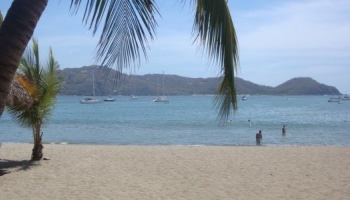 Playa Troncones and Manzanillo Bay is a 45 minute drive to the north of Ixtapa/Zihuatanejo. Miles of white beach and plenty of water and land activities. Majagua Beach is located north of Troncones. It is accessible via the Troncones beach road as well as over a dirt road that leads from Lagunillas over the intervening hills to the beach. 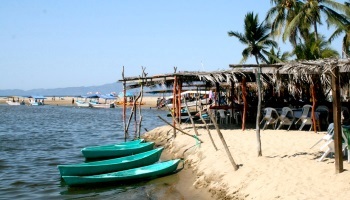 Playa La Saladita is located some 5 kilometers off highway 200 at the small town of Los Llanos, close to 40 kilometers north of Ixtapa/Zihuatanejo. Long a surfer's secret spot, with a fabulous longboader's classic left break, La Saladita is now becoming a well-known beach haven for lovers of waves and wide-open spaces.